Situated in a quiet cul de sac, this home abounds with beautiful upgrades evident from the meticulously landscaped yard! Enter into a bright open foyer that leads to a functional floor plan perfect for family living! The Great Room is spacious and flooded with natural light featuring large windows throughout the main level. A tile & mantle fireplace is placed centrally in a gorgeous built in from floor to ceiling. Luxurious Tiger Wood hardwood spans the entire floor. The kitchen houses a large island clad in granite, tons of storage with up to the ceiling cupboards and large pantry. The eat in dining area overlooks the waterfall pond, huge deck and amazing landscaped yard! A formal dining room and open living area allows for easy entertaining and huge family functions. A half bath, den and laundry room complete this level. 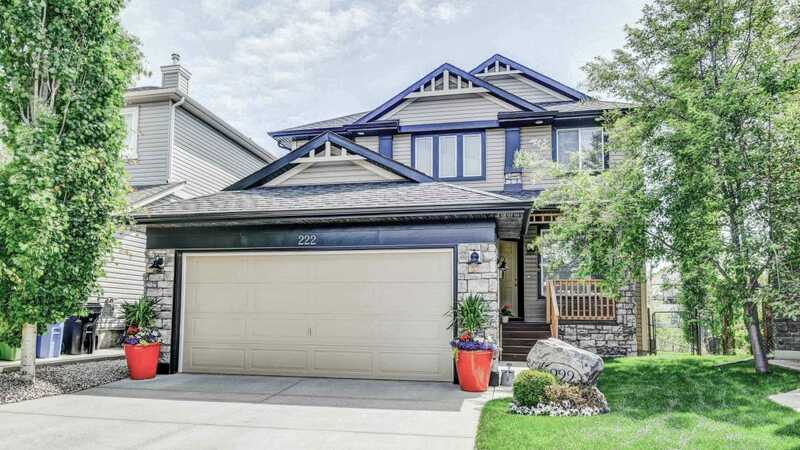 Upstairs, unwind in the Master Retreat with vaulted ceiling and 4 piece spa like ensuite with huge walk in closet, double sinks, soaker tub & makeup table.